Returning students NEVER have to pay startup costs they've already paid, including evaluation! Catch up, Keep up or Charge Ahead. 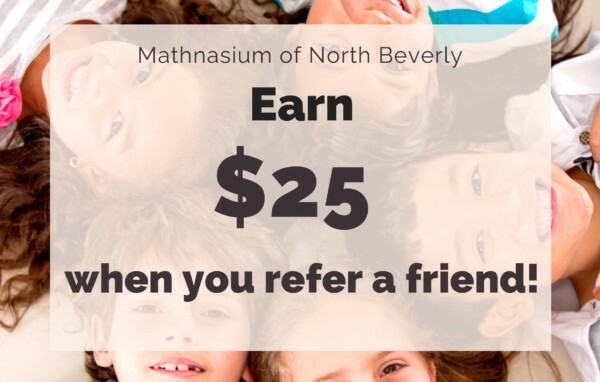 Mathnasium offers school year homework help and support for all math topics from 1st grade through Calculus, including the math of Chemistry and Physics. 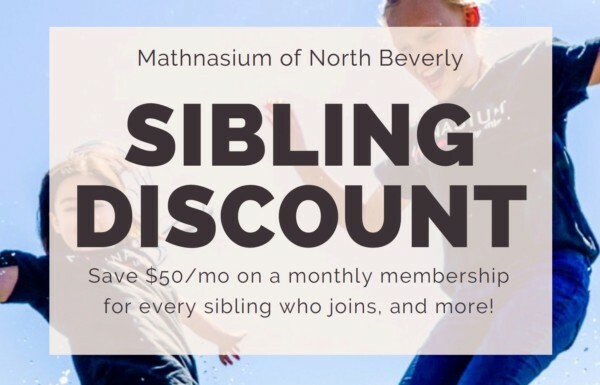 One-on-one tutoring for all ability levels. 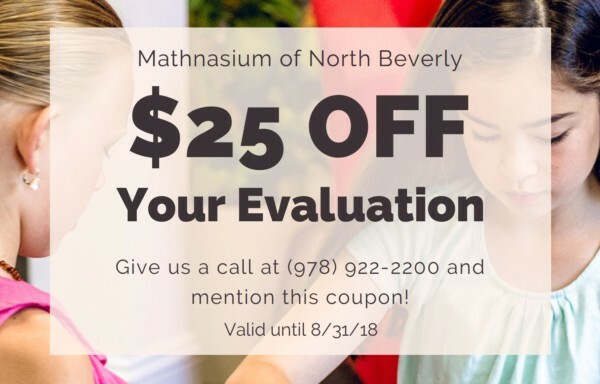 Initial consultation and evaluation - we will meet with you and your student to evaluate, via both a verbal and written diagnostic, how your student is approaching grade appropriate math concepts. This diagnostic will identify gaps in knowledge, inefficient ways of thinking and provide indicators for learning style. 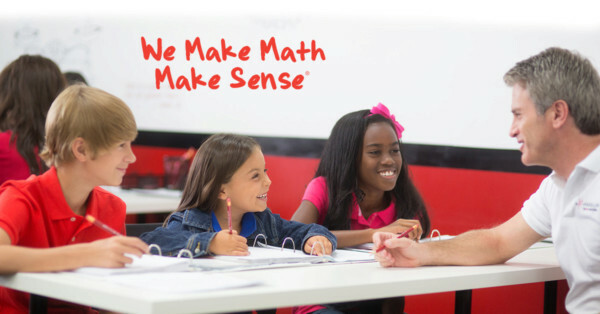 The written checkup will pinpoint specific math skills where additional teaching or review is needed. We will then develop the individual curriculum and plan tailored to your students needs and goals. 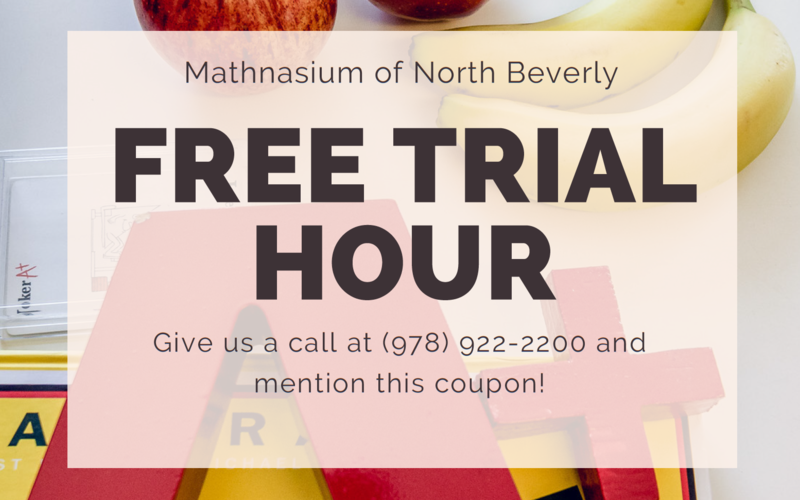 Call or email Jim at northbeverly@mathnsium.com or 978 922 2200 to learn more.